People travel to discover the hidden beauties of the world and often, it is the turn of the same tourists to drop their jaws at stunning beauties this world has developed over the period of time. There are few countries which are lucky to be the top tourist destinations and the best part is they are continuing being so. Prime example is Canada. Canada, belonging to the western world, has amazing people, stunning localities and breathtaking landscapes to offer to its tourists. People who holiday once in Canada leave the country with a drooling desire to come back again, if not stay back forever. Such is the beauty Canada has got and such is the magical spell it casts on its visitors. In support to the foreign tourists, Canadian Immigration is very liberal with Canada tourist visa. 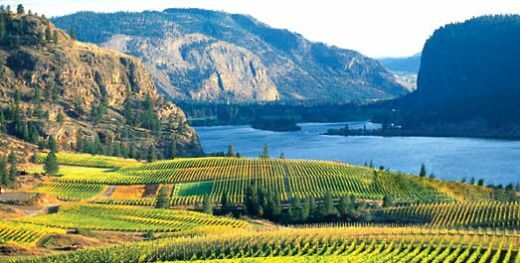 Tourists are respected and welcomed with excellent hospitality and great travel packages by Canadian Tourism Commission. Canada tourist visa can be availed for affordable fee in almost all the countries. Visiting Canada is like once-in-a-lifetime experience for many travel enthusiasts and absolutely unforgettable for millions who visited Canada. Below are the tourist attractions Canada uses to cast it spell on visitors. If you are craving for scenic landscapes, Vancouver is the place you must visit in Canada. The most sought-after wildlife sanctuary in Canada is Banff National Park in Alberta; also it is the biggest one of the country. It is no exaggeration that there wouldn’t be a person who doesn’t know about Niagara Falls. Visit Niagara Falls to savor a lifetime magical experience of being the closest to nature. If you think it’s time for some cultural exchange on your Canada Tourist Visa, then Montreal is where you have to head to. Great place, vibrant people and unforgettable neighborhood. Toronto spreads such an invigorating vibe which bowls you down the moment you land in. Visit Toronto to be a guest of world’s one of the finest hospitalities. Do you want to move little westwards from Canada? Quebec City is your choice. The francophone population here will make you forget the banal existence of English for a while. If you dream of catching the live sight of polar bears, Canada’s Churchill is the place you find heading towards. It is called the Polar Bear capital of the world. With so many diversified attractions in pocket, it calls for an exciting and lively visit to Canada. Obtain a Canada visit visa and pull your socks up for the most memorable holiday of your lives. We handles the visit visas to Canada and other countries to ensure a memorable holiday for you.